On October 1, 2017, the Federal Trade Commission (FTC) officially rolled out changes to the Energy Guide labels for portable AC units. This change largely flew below the radar. To help provide some clarity for both consumers and manufacturers, we’ve outlined some of the most common questions that this change may present. The Energy Guide Labels are more accurate. Retailers and manufacturers have to update their marketing materials to help consumers. However, the recent change to the Energy Labeling Rule was more of a reaction to another change made by the Department of Energy (DOE). 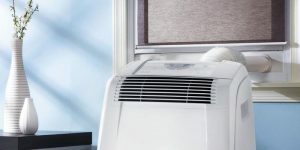 This proposal from the FTC actually stemmed from new energy testing guidelines that the Department of Energy implemented for both single-hose and dual-hose portable AC Units. The new energy test was initially proposed on February 25, 2015. After a few changes to the initial proposal, the new testing procedure went into effect on June 1, 2016. While the new testing methods from the DOE were largely considered to be a step in the right direction for consumers, there were numerous unintended consequences that had a direct effect on the Energy Guide labels. 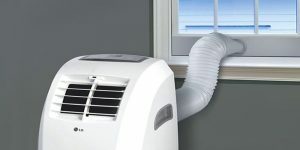 The main concern was the inconsistent testing results that had the potential to mislead consumers comparing portable AC units to other types of room air conditioners. The energy efficiency testing made a few significant changes. Introduced the concept of Seasonally Adjusted Cooling Capacity (SACC). Made revisions to how the DOE calculates and determines Combined Energy Efficiency Ratio (CEER). 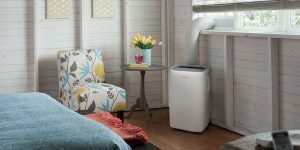 Despite rigorous debate from numerous manufacturers, the FTC concluded that the new DOE efficiency model painted portable air conditioners in a favorable light. Due to variables within the new testing procedure, the Energy Guide labels portrayed portable AC units to be more efficient than they actually were. To mitigate this, the FTC proposed a new rule change with the intention to create more accurate Energy Guide Labels that will help guide consumers as they shop, and help them make an educated buying decision. When Did the Changes Start? Officially, the changes to how portable AC units are labeled and marketed by retailers went into effect on October 1, 2017. However, while this may seem out-of-the-blue for consumers, these changes actually been long in the making. With even more changes possibly coming in the years ahead. The Federal Trade Commission initially proposed a broad change to the Energy Labeling Rule back on September 12, 2016. It was at this time that the FTC requested feedback in writing from manufacturers, reatailers and the general public. This feedback was due on November 14, 2016. You can read the full notice in Vol. 81, No. 176 (PDF) of the Federal Register. Does it Only Affect Portable AC Units? No. This specific change to the Energy Labeling Rule was not aimed solely at portable air conditioners. The proposed change to the rule also included different types of ceiling fans and electric water heaters. What is the Energy Labeling Rule? In a more general sense, the Energy Labeling Rule applies to a wide variety of appliances found in your home. It requires that a bright yellow “Energy Guide” is adhered to new appliances upon purchase. It is an estimate that specifies how much energy that appliance will use annually, as well as the overall cost of operating it in your home. An estimation in how much it would annually cost to use the appliance. An energy comparison of similar models, with a range of low to high energy expectations. This recent change does not affect all appliances, however, only the few mentioned above. How Does This New Labeling Affect Me? 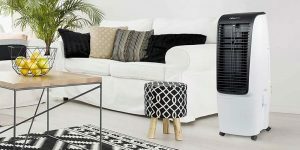 In theory, the new labels would make it easier for the average consumer to make the best buying decision when they are trying to shop, compare and buy a portable air conditioner. 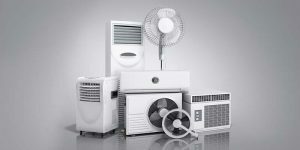 Because they are marketed as an appliance that can cool a single room, they often get compared to other types of room air conditioners, which far exceed portable AC’s in energy efficiency. The new changes to the Energy Labeling Rule now requires all portable air conditioners to list their cooling capacity based on ASHRAE standards (PDF). This is determined by the new energy efficiency testing procedures by the DOE. 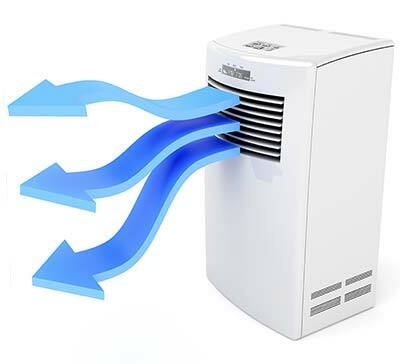 So, now as you shop for a new portable air conditioner, you will should see ASHRAE ratings listed per each unit. If you do not see ASHRAE ratings, then that particular retailer is not in compliance with the FTC.